The Torah tells us that before the splitting of the Sea, Moshe said to the people, "Do not fear! Stand by and see Hashem's saving that He will perform for you today… Hashem will fight for you, and you will be silent." (Exodus 14:13-14) Why did Moshe have to say "stand by"? Wasn't it enough to say "do not fear, see Hashem's saving"? The answer is that among the Jewish people there were many mighty men, and furthermore, anyone who sees that he is about to meet his death will put up a great fight, summoning superhuman energy. When the Jews saw the sea on one side and the Egyptian army on the other, they thought they were doomed. Let us go and fight the Egyptians, they thought, kill as many as we can of them, and perhaps we will overcome them – for in any case we are about to die. Moshe Rabbeinu knew what they were thinking, so he said, "Stand by, stay in your places and do nothing, for Hashem Yisborach does not need you to help Him save you. On the contrary, that would make it worse. "Hashem will fight for you" only if "you will be silent." In general, Hashem comes to our aid only when we recognize that we cannot fight for ourselves. This is what Dovid Hamelech said in Tehillim (94:17), "If Hashem had not been my help, my soul would easily have dwelt in death. If I said, 'My foot has slipped,' Your kindness, Hashem, supports me." The meaning of these verses is: If I had not recognized that Hashem helps me, my soul would easily have dwelt in death. But since I say, "My foot has slipped, I am nothing, I cannot save myself with my own power" - Your kindness, Hashem, supports me. This is why when the rebellious Jews tried to invade Eretz Yisroel against the will of Hashem after the sin of the spies, the Amalekites and the Canaanites came down and smote them and smashed them until Charmah (Bamidbar 14:45). And this is why when some of the tribe of Ephraim left Egypt thirty years before the end of the exile, the Philistines killed them (Sanhedrin 92b). Their sin was that they relied on their own power, without Hashem's help. This is what we must know, that we cannot save ourselves with our own power, without the help of Hashem and without the holy Torah. The Zionists, however, want to conquer and control Eretz Yisroel by force, with their own power, without the help of Hashem and without the Torah. It will be bitter for them in the end, for they will never succeed or accomplish anything. They will meet the fate of the rebellious invaders of the Land and the tribe of Ephraim. 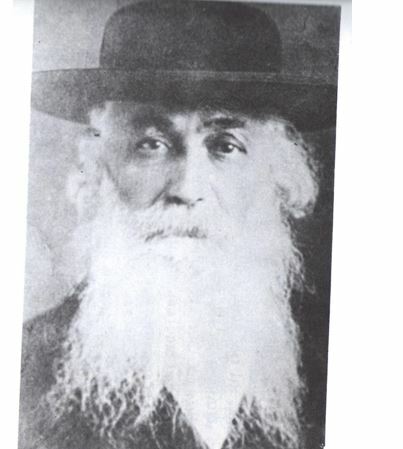 Rabbi Hillel Lichtenstein, rabbi of Krasna, would always relate that his father-in-law, the Shimloyer Rav, when he was about to be killed by the Nazis, cried out, "Only the wickedness of the Zionists has caused this! It happened to us because we did not protest against them enough."